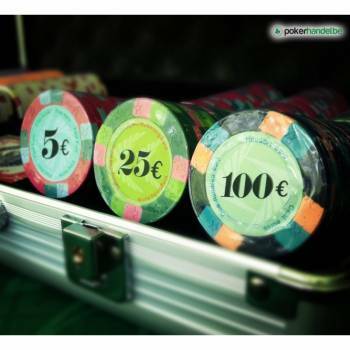 If you're a more demanding poker player, or a host that wants to have his/her poker night in class — these exclusive poker sets of the highest quality are perfect for you. 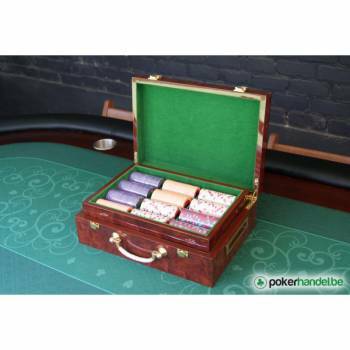 A beautiful, high-grade wooden poker case with brass hinges and a velvet inside, two decks of 100% Plastic Modiano Texas Hold'em Poker Cards and a XXL Dealer Button paired with some of our most high end sets of poker chips in a 300 or 500 chip set. 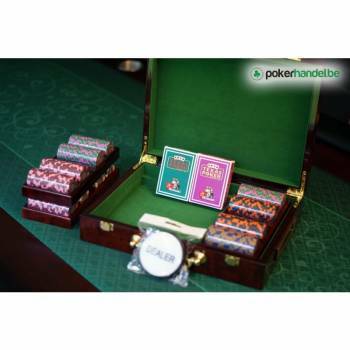 A gentleman's poker set, for the real poker aficionados. 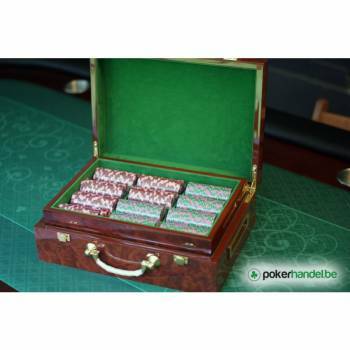 Deze exclusieve pokerkoffer is niet te vergelijken met onze andere pokerkoffers, maar is zijn meerprijs zeker waard!